Many servers expose insecure management interfaces to the Internet through microcontrollers embedded into the motherboard that run independently of the main OS and provide monitoring and administration functions. These Baseboard Management Controllers (BMCs) are part of the Intelligent Platform Management Interface (IPMI), a standardized interface made up of a variety of sensors and controllers that allow administrators to manage servers remotely when they’re shut down or unresponsive, but are still connected to the power supply. BMCs are embedded systems that run inside servers and have their own firmware—usually based on Linux. They provide IPMI access through a network service accessible over UDP port 623. Security researchers have warned in the past that most IPMI implementations suffer from architectural insecurities and other vulnerabilities that can be exploited to gain administrative access to BMCs. If attackers control the BMC they can mount attacks against the server’s OS as well as other servers from the same management group. Farmer, together with HD Moore, chief research officer at Rapid7 and lead architect of the Metasploit penetration testing framework, ran scans on the Internet in May and identified 230,000 publicly accessible BMCs. A deeper analysis revealed that 46.8 percent of them were running IPMI version 1.5, which dates back to 2001, and 53.2 percent were running IPMI version 2.0, which was released in 2004. 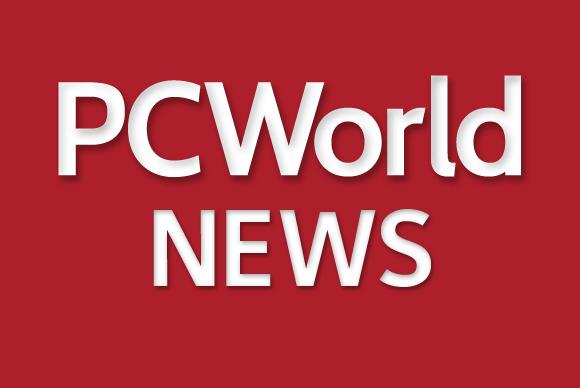 About 90 percent of the BMCs connected to the Internet that were running IPMI 1.5 had the NULL authentication issue, Farmer said. The privileges associated with the NULL account vary from vendor to vendor, but in most cases they grant administrative access, and even when they don’t the mere ability to execute any kind of commands without authentication is a bad thing, he said. In addition, IPMI version 1.5 doesn’t encrypt the connection between a user and a BMC so man-in-the-middle and other network attacks can be used to sniff passwords or hijack the connection. “You might think of the security of version 1.5 as something akin to using the old, reviled, unencrypted, and easily subverted telnet command for remote logins,” Farmer said. IPMI version 2 includes cryptographic protection and supports 16 ciphers groups, but it has security issues of its own. The researcher found that around 60 percent of the publicly accessible BMCs running IPMI version 2 had the cipher zero vulnerability. Another serious issue introduced by IPMI 2.0 stems from its RAKP key-exchange protocol that’s used when negotiating secure connections. The protocol allows an anonymous user to obtain password hashes associated with any accounts on the BMC, as long as the account names are known. “This is an astonishingly bad design, because it allows an attacker to grab your password’s hash and do offline password cracking with as many resources as desired to throw at the problem,” Farmer said. The analysis showed that 83 percent of the identified BMCs were vulnerable to this issue and a test with John the Ripper, a brute-force password guessing application, using a modest 4.7 million-word dictionary successfully cracked password hashes obtained from 30 percent of the BMCs. Farmer calculated that between 72.8 and 92.5 percent, depending on password cracking success rate, of BMCs running IPMI 2.0 had authentication issues and were vulnerable to unauthorized access. Farmer’s paper includes some recommendations for server administrators on how to mitigate some of the identified issues and better secure their BMCs, but the researcher concludes that ultimately the problem of insecure IPMI implementations will linger on for a long time.